When you open Google today, you’d probably instantly notice a change - right in the black strip in the upper part of the screen, there’s a new item. The Google toolbar now shows a link to Google Play, the new name for the Android Market augmented with Google Music, Google Books and movies. The highlight on the “Play” link is clear with a contrasted red “New” signalling you should go and check out what’s new from Google. This was to be expected, considering the growing importance of Google's mobile app and media market. It’s also clear that Google is (not very) slowly transforming into more of a web portal than a search engine. The Play part of it, or the Android part of it if you wish, seems it’s getting deservedly the front page. 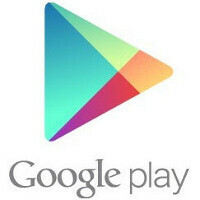 Google Play aims to grow big and in the future along with apps and music, it could allow users to also buy movies. It’s obviously more important for Google than the relatively popular Google Documents and Google Calendar, both of which get a place further on in Google’s toolbar. Google Play shows in the first tier of links in the Google toolbar. Its a good step by Google,android is taking over control of the market at an exponential rate so this is another avenue to advertise and highlight it. It would be funny to see some ifans faces as many have not used the android market before but use a pc and chrome browser and Will click on the new play link and see many of the games they paid for on their ipods,iphones and ipad free on android. Umm Google Documents and Calendar is 4,5 links to the right of GP. What Google toolbar? I rooted my Nexus and got rid of that lol. I like my real estate.